Prof Finno combines theory and practice to reconcile full-scale field performance of geotechnical structures with analytical and numerical predictions. 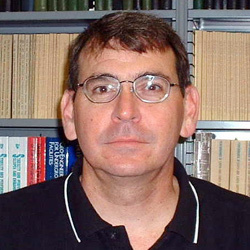 In particular, his research interests include full-scale performance of deep excavations and tunnels, adaptive management methods in geotechnical engineering, numerical analysis, inverse analysis techniques, failure processes in soil, small strain behavior of clays and non-destructive testing of deep foundations. Finno, R.J. and Gallant, A.P., “Effects of Gas on Blast Densification Verification,” Korean Geotechnical Society Awards Lecture, Seoul, Korea, March, 2016. Gallant, A.P. and Finno, R.J., “Stress Redistribution after Blast Densification,” Journal of Geotechnical and Geoenvironmental Engineering, ASCE, Volume 142, No. 11, 2016, 04016064, 1-11. Finno, R.J, Gallant, A.P. and Sabatini, P.J., “Evaluating Ground Improvement after Blast Densification at the Oakridge Landfill,” Journal of Geotechnical and Geoenvironmental Engineering, ASCE, Vol. 142, No. 1, 2016, 04015054, 1-13. Finno, R.J., Arboleda-Monsalve, L.G. and Sarabia, F., “Observed Performance of One Museum Park West Excavation,” Journal of Geotechnical and Geoenvironmental Engineering, ASCE, Vol. 140, No. 1, 2014, 04014078, 1-11.